Today we ask ourselves the question, what is there to be thankful for? You can make your lists and count your blessings but what good is it without God? This holiday has its historical roots in religious traditions but like most holidays it is celebrated in a more secular manner today. In 1789 George Washington proclaimed it “as a day of public thanksgiving and prayer to be observed by acknowledging with grateful hearts the many and signal favours of Almighty God”. Today our president pardons a turkey so that it may live a long life roaming freely on farmland. 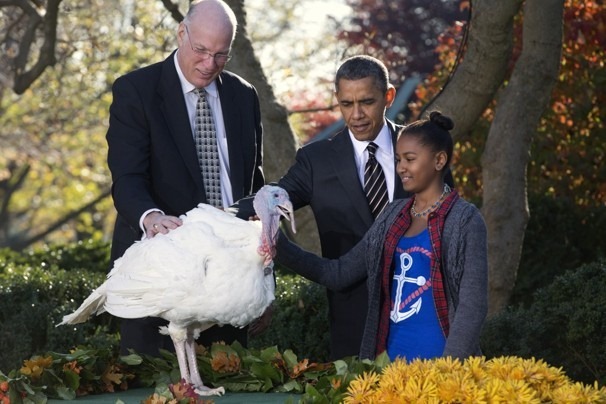 I wonder if Obama cares more about that turkey he pardoned or for the country he supposedly serves? I wonder if we all realized how thankful we should be to the One and Only God for the breath we breathe today and the provision He alone has given, if pardoning a turkey wouldn’t matter as much as pardoning each other. I wonder what our lives would be like if we decided to take God seriously. If we gave up a little more of our lives to His lordship. I wonder what our Thanksgiving would be like? Can you thank the Lord in it? Will God be glorified through it? Will someone be led closer to Him by it? Without God Thanksgiving is just being Thankful, with God it is about Him and it is Him, to whom every knee will bow and every tongue will confess. O LORD, our LORD, How majestic, How thankful we are. May the whole earth smell of pie, to the Gory of God!